Kobudo is the study of traditional weapons from Japan and Okinawa. 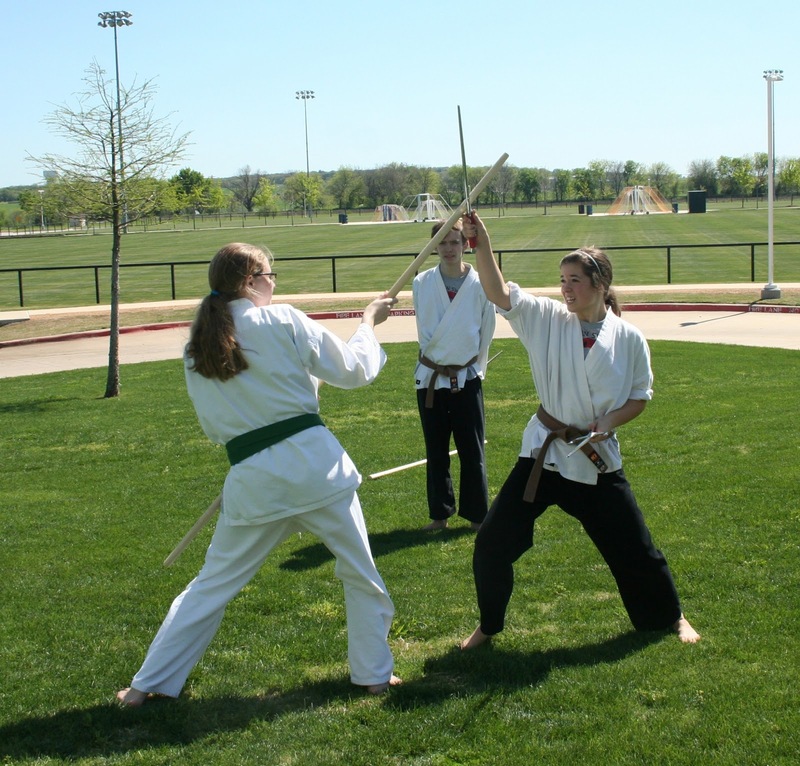 The main areas of study in the Hidden Sword curriculum are the Bo (6 ft. staff), the Jo (4 ft. staff), the tonfa, the sai, the nunchaku, and the kama. 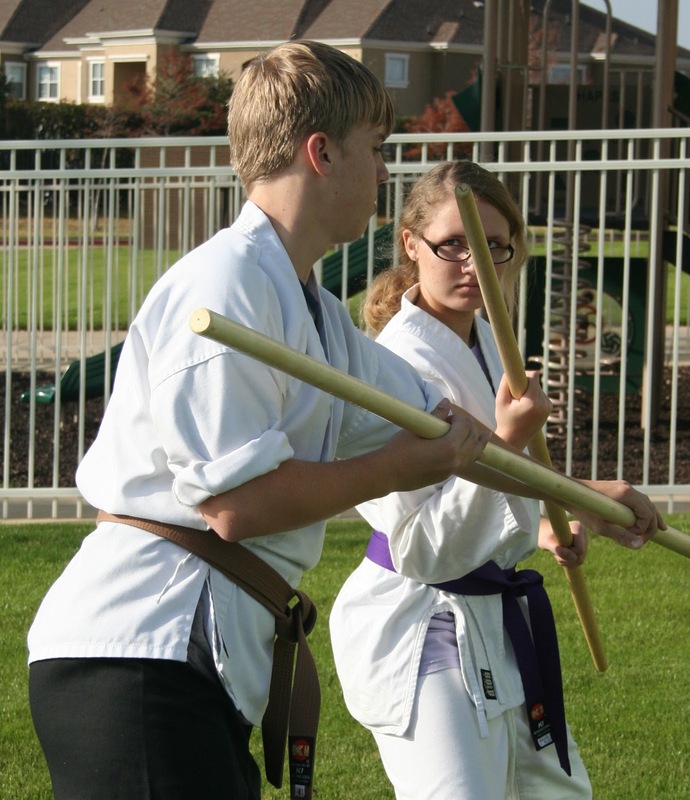 Students depending upon their age (generally 12+ years old), maturity, performance in class, and their interest are encouraged to study kobudo in the Hidden Sword system. The study of kobudo helps the student to learn a variety of different skills, develop attributes and a fighting spirit, as well as studying new martial concepts that are related to both empty hand and weapons training. Weapons training helps the student to gain confidence in themselves and trust in others as they learn to use various types and styles of weapons in solo training (katas) and with a partner (application training). The Hidden Sword curriculum blends the traditional weapons fighting katas from Okinawa and Japan with modern katas that were developed in the past 30 years. This training is further enhanced by blending the training methodology used in the Filipino martial arts which are brought out in the two man training drills.